With the release of Modern Warfare this week and the endless deluge of analysis, reviews and comment that will undoubtedly go with it, some consensus is already evident. 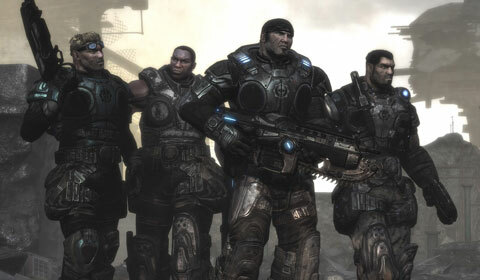 While on-the-whole praised, the principal criticism levelled at Modern Warfare 3 is its lack of ambition - its contentment to tread a similar albeit more polished path to its predecessors, interestingly a charge that could never have been laid at Call of Duty 4, the first Modern Warfare title that came out in 2007 and single-handedly impacted the direction of big-name FPS titles for the next four years. So, why in an article about Alan Wake have I opened with a paragraph about Modern Warfare 3? Put simply, because in many ways the two games present polar opposites and represent two very different ideals in videogame development. Modern Warfare 3 is polished, accessible, balanced but somewhat predictable. 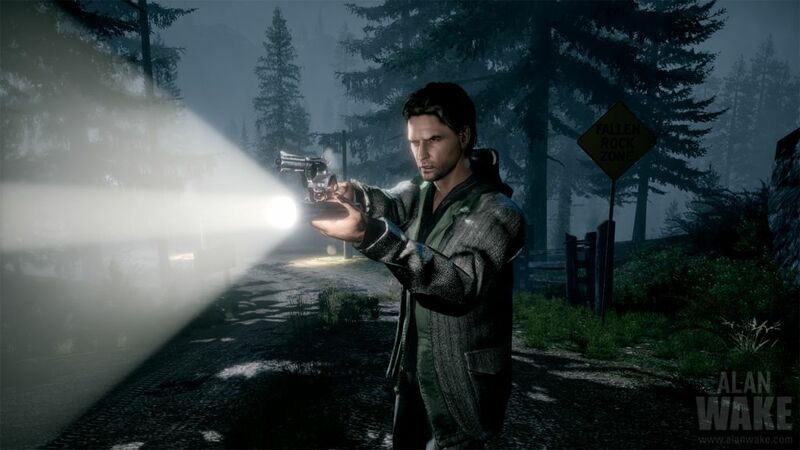 Alan Wake is ambitious, quirky, unusual, charming but flawed. Pinball lovers rejoice! The XBLA game Pinball FX 2 has always been free, players were required to download individual tables for 200-240 points or themed packs for 800 points, but now and for 2 days only there is a complete table for free! That's right people, the Paranormal table has been made free until 2nd Nov 2011. Make sure to download the main game client and then the full version and not the trial of the Paranormal table. And for free you can't say fairer than that! Shrouded in mystery, what new and exciting things might Nintendo reveal about it's somewhat lame horse of a console? It's no secret that what is a technological advancement of the sort that would have previously solidified Nintendo on top of the inovation podium, has fallen since the first hurdle. With a press conference a few months ago announcing a new colour, several release dates and of course, that extra circle pad - Nintendo have announced another press conference scheduled for tomorrow. Little is known about the pre-recorded event which is due to stream live through Japanese site Nico Nico, UStream and Douga. Rumoured announcements include new firmware information, including further details on Nintendo's 3D video capture capabilities and further information on Mario Kart 7's wireless capabilities. That doesn't sound like a great deal of information to warrant a full press conference however, so perhaps Nintendo have a few surprises in store as well? We'll be sure to keep you updated about the conference tomorrow. the queue that always put me off attending these launches. should be more important than checking to see which way the wind is blowing. Today 8brit is traveling to Game's first UK gaming convention in Birmingham, GAMEFest. Some of the most hotly anticipated titles for this year will be playable at the event so stay tuned to 8brit over the weekend to see our impressions on the like of Modern Warfare 3, Skyward Sword and Uncharted 3 to name but a few! Our previews will be going up tomorrow so be sure to check back to 8brit for more! Okay, so you've been living under a rock, or you've only recently discovered the wonders of the internet and video games. Those are likely the only excuses you have for not playing the ground breaking game changer that was Portal. Well, good news if that's the case. Portal is now FREE on PC and Mac until the 20th September. after which you'll have to dig into your pocket and pay for it. So go, educate yourself and slap yourself on the wrist for not already owning a copy. We earlier reported on the events unfolding at the Tokyo Games Show, where we were unsure of the European launch dates of both Super Mario 3D Land and Mario Kart 7. Nintendo have now confirmed that Europe can expect to see these titles on November 18th and December 2nd respectively. In addition to these details Nintendo have also announced that a new metallic red version of the 3DS will go on sale from September 30th. Supposedly Nintendo stated that this was in order to "celebrate" the console's 1 million plus sales in the region. Since America and Japan have already been privy to a "flame red" version of the console however, it's not so much a celebration as Europe finally getting what the other regions have already had. Today saw Nintendo's pre-TGS Show kick off with news primarily focused on the 3DS. The conference announced both to Japan and the world some exciting new titbits about the future of the console and what gamers can expect over the next several months. Nintendo didn't disappoint: revealing not only release dates for both new 3DS hardware and software, but also dropping in some information on the upcoming Legend of Zelda: Skyward Sword title for Wii. Starting with Skyward Sword then: Myamito-San himself confirmed that the title would have between 50-100 hours of gameplay, including a boss challenge mode and a second play through incentive in order to further prolong the life of the title. That promises to be one of the longest Zelda titles to date.